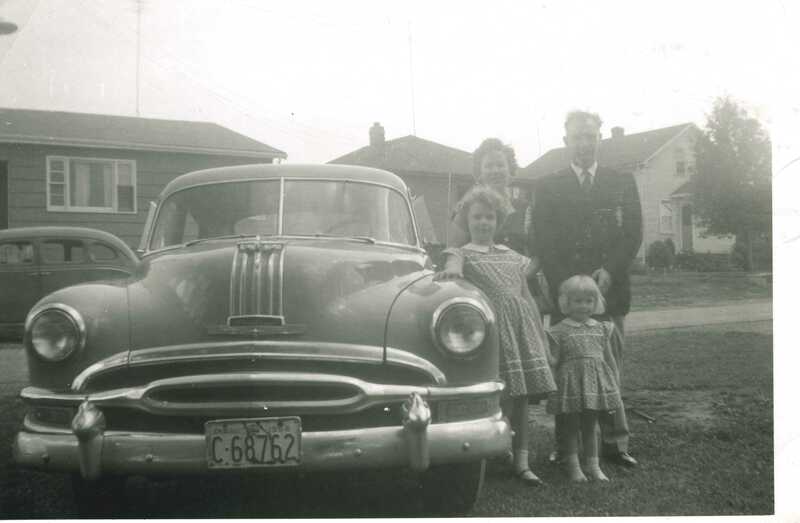 My family beside our first car, made possible by our father’s job at GM. Confluence Field Trips originated in the anticipated opening of the Brock University Marilyn I. Walker School of Fine and Performing Arts and the City of St. Catharines’ First Ontario Performing Arts Centre, which sit side-by-side on St. Paul St. in St. Catharines, overlooking Canal Valley, site of the Confluence Field Trips walks. These buildings represent a turning point in the city’s history and despite any different tone to the following I can assure you I welcome them. I have already experienced a significant change in the value ascribed locally to my own work and believe-you-me, it has often been a wilderness in more ways than one since I returned in 1988. These buildings are the product of much hard work by many individuals, a $15M gift from Marilyn I. Walker and many other donors to both buildings, and a deservedly-much-lauded partnership between the university and municipality which overturns that annoyingly antiquated “town and gown” divide to which some people love to cling. It in no way minimizes those contributions to realize that they also are possible because of the urban planning and economic model known as Creative Cities and Creative Economy. There have been at least two unsuccessful attempts in the past to build a performing arts centre in St. Catharines (late 1970s and early 2000s) and it took regional and municipal buy-in to this model to build it. Public policy shapes public space (but not exclusively as many visual cues in Confluence Field Trips photos attest). Richard Florida is the popularizer of the Creative Class and Creative Cities model. In Canada and beyond, Toronto Artscape is the major player. They did a feasibility study for an artists’ live/work space in St. Catharines for the St. Catharines and Area Arts Council in 2005/6, following our participation in Artscape’s Creative Clusters Development Program. There was not enough critical mass at that time. St. Catharines and Welland, like many cities all over North America, experienced economic devastation as manufacturing left. In St. Catharines, it was General Motors of Canada. I am a GM brat and my father worked in the foundry of Plant 2, luckily retiring before the turn-down. He took early retirement and just couldn’t wait to get out of there. I can still picture the foundry from a visit on Family Day when I was about 10 – the place seemed like hell, so full of darkness and fire. The Region of Niagara adopted a four pillar model which included culture soon after the turn of the millenium and led to the creation of its first Culture Committee around 2004, on which I sat; (the committee minutes used to appear at the top of a Google search of my name, how annoying). The Region hosted Richard Florida as the keynote at its first economic development conference, Niagara Palooza, in 2008. I remember this as the moment I decided I definitely had to quit my thankless job as first Executive Director of the St. Catharines and Area Arts Council since I didn’t even get an invitation after a few years of lobbying for the economic development value of culture and sitting on the Culture Committee. WTF. The City of St. Catharines under the leadership of Mayor Brian McMullen jumped on the creative cities bandwagon and the performing arts centre is the centrepiece to the downtown revitalization plan; the City published the City of St. Catharines Downtown Creative Cluster Master Plan in 2008. Councillor Mark Elliott, a visual artist, undertook a key role in seeing the PAC to completion. This leap represented a giant shift in the Zeigeist. On the other hand, in my lifetime I have seen what is now called “precarity”, which was always part of the artist life, become the norm for young people in general, as has what is now called the “portfolio career”, code for having to do more than one or two jobs to survive. In other words, the creative economy has not improved the economics of being an artist, however, the social context has significantly and simultaneously deteriorated. However, artists still face significantly higher rates of self-employment, often aka “precarity”, 70% compared to a self-employed rate of 15% for the overall labour force. (2011 Labour Force Survey, analysis by Hills Strategies Research). I have encountered complaints that Toronto Artscape changed its mandate from assisting artists with needs around space to using the arts to assist development. This criticism could be applied to the creative economy model in general. Of course, the idea of who is using who is an interesting one and points to ideas around value. The arts will always have low value in a culture based on monetary gain. Related but separate issues for me are that contemporary visual art in Canada is more and more tied to academic institutions, and I wonder if more and more, only young people from the most affluent classes are entering the arts. 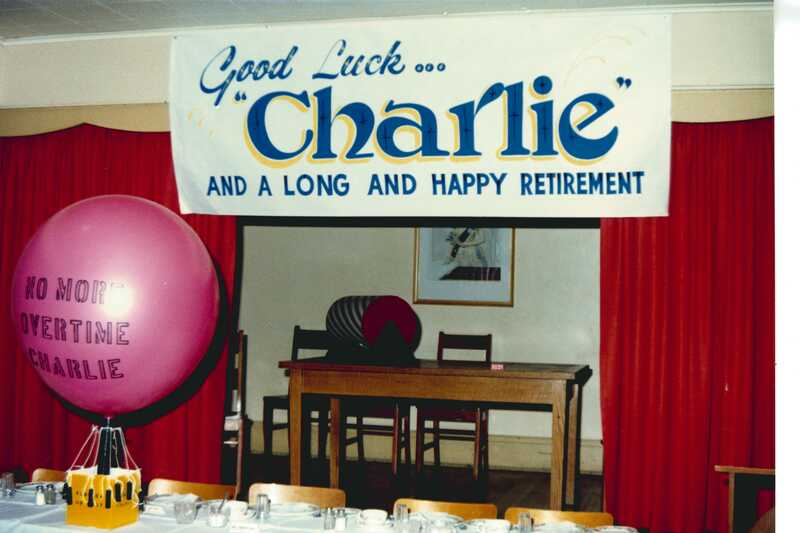 Growing up, I acutely was aware that my father did not enjoy his factory job, had creative talents, and laboured under a British working class structure about knowing one’s place, as well as a certain fatalism born of being torn from everyday life into war. His work in that factory made it possible for me to be the first person in our family to go to university and to not question my life’s path as an artist. My personal “creative economy” of the last 40 years as an artist has often been one of poverty, but based on a privilege allowed by the old manufacturing industry in St. Catharines and North America. To round things out, however, I would like to refer the reader to Martha Rosler’s critique, Creative Class: Art, Creativity and Urbanism. The header image to this page is from an image licensed from the St. Catharines Museum, Edward Plelps Collection, 2002.102.83. It depicts the GM Plant 2 foundry floor where my father worked and I purchased the licence for the third and final work in the Guardian of Niagara series of constructed photographs, which I have not yet completed. Return to Explore main page.